Workout energy & recovery energy! 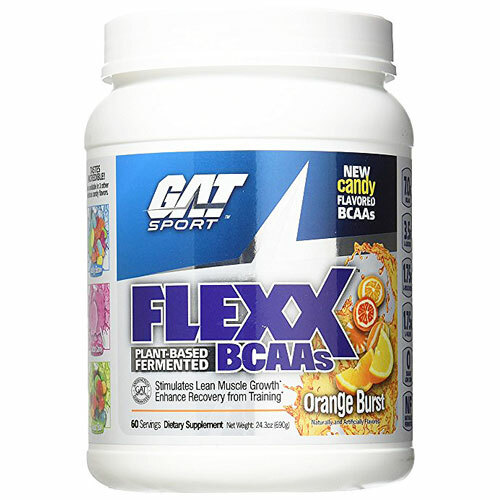 GAT Flexx BCAA's are a unique intra-workout supplement supplying both muscle energy and reducing catabolism all at the same time. 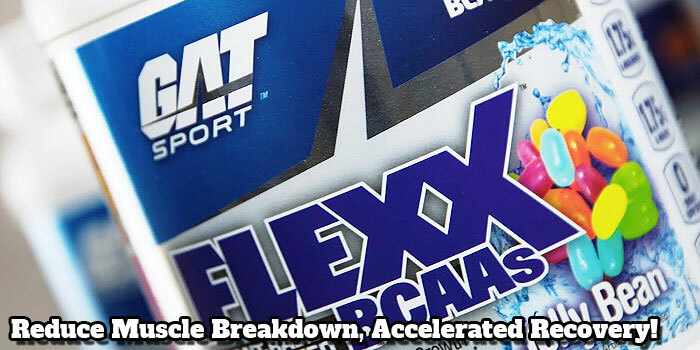 FLEXX BCAAs deliver 7 grams of essential amino acids to protect athletes hard-earned muscles. FLEXX BCAAs 2:1:1 ratio of Leucine to Isoleucine and Valine is the most scientifically studied ratio for athletic performance. BCAA’s comprise up to one third of muscle tissue in the human body. Using Flexx BCAAs during your workouts helps keep these amino acid pools inside your muscle fueled with BCAAs for energy production and to prevent muscle breakdown. During intense exercise and/or times of extreme stress on the body, the BCAA’s are depleted from the muscle tissue at a rapid rate leading to increased muscle tissue breakdown. The key to success for any athlete, from novice to world class, is not necessarily the training program itself, but the ability to recover post training. 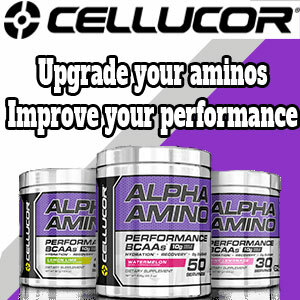 Supplementation with the proper ratio of BCAA’s may greatly enhance the body’s ability to recover. FLEXX BCAAs comes in 4 mouth watering candy flavors: Jelly Bean, Orange Burst, Cotton Candy and Sour Ball. Each flavor just as good as the next. They truly do TASTES INCREDIBLE! We know there is this whole big thing about if BCAAs are worth the price and all that, but in side of an INTRA-WORKOUT drink BCAAs make allot of sense. They digest quite easily and are readily used for muscle fuel when carb store are depleted.